After spending his first nine years in New York city, Mark moved to Southern California where he has lived ever since. He graduated from the University of California, San Diego with degrees in communications and visual arts. Mark then spent the next 7 1/2 years as Production Director and On-Air Personality at KTYD, Santa Barbara and 3 1/2 years in the same capacities for KLOS, Los Angeles. In January of 2000, Mark started Uhearme, Inc. to oversee his career, as well as UHearMe Productions - his successful studio and audio/video production facility. 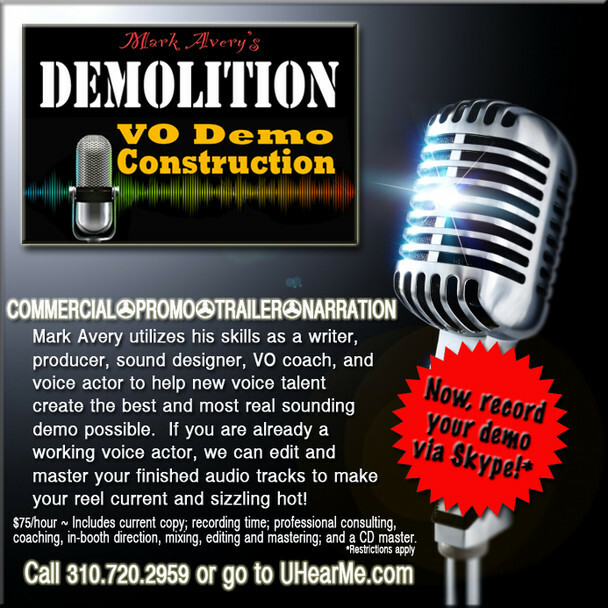 And now, Mark is helping others to reach the pinnacles of their voice acting careers through his 1 On 1 intensive workshops.